Kent Wong, director of the UCLA Labor Center and professor of labor studies and Asian American studies, has been awarded the Ellison S. Onizuka Memorial Award, one of the 2017 National Education Association’s Human and Civil Rights Awards. The awards honor human and civil rights leaders committed to creating a more just society. In addition to serving as director of the UCLA Labor Center for the past 25 years, Wong is founding president of the Asian Pacific American Labor Alliance and the United Association for Labor Education, and is vice president of the California Federation of Teachers. 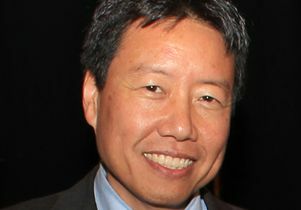 A notable leader in the immigrant rights movement, Wong taught the nation’s first course on undocumented students and has written extensively on the topic. Under his leadership, the UCLA Labor Center also launched “Dream Summer,” the first national fellowship and scholarship program for undocumented immigrant youth.